Big news from Auckland, New Zealand today as Serato announced their brand new music production software, Serato Studio. Actively in public beta, Serato Studio is designed with a DJ-style workflow to help DJs effortlessly learn how to produce their own music. Serato Studio mimics the look and feel of Serato DJ, which means if you already use Serato DJ, learning the new software should be second nature. 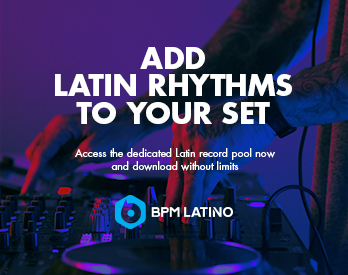 Features include cue points, mixer channels, FX, waveform displays, samples and content, and access to your Serato DJ library. Plus, it’s powered by Serato’s Pitch ‘n Time, so users will have the best time-stretching and pitch-shifting technology on the market. “Over the years we’ve spoken to countless DJs and beginners who want to start making music but either don’t have the time, the hardware, or feel overwhelmed with attempting to learn production software. As a result we’ve made Studio as intuitive as possible, so you can open it up and start making beats right away,” says Nick Maclaren, Chief Strategy Officer at Serato. 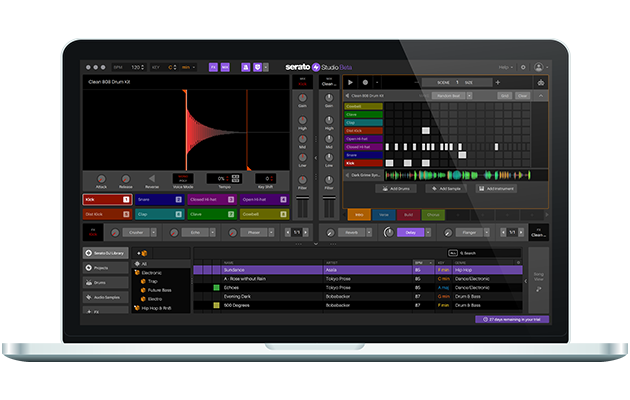 Serato Studio isn’t just for DJs beginning to dabble in music production, however. There are more advanced features that experienced producers will enjoy, such as automation, stem exporting, and third-party plugin support (VST and Audio Units). Use Serato Studio as a sketchpad to get your ideas out fast and easy. 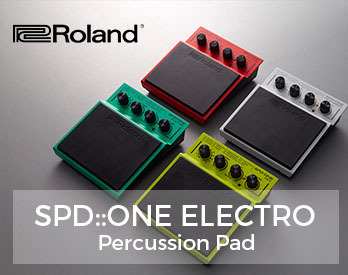 The new software also features cool time-saving features including instant key and pitch-shifting, “Play in Key” mode, which allows users to play any instrument in key without knowing any music theory, and a “Make Beats” feature, which creates drum patterns with one click to get you inspired. Serato Studio works with a range of setups, including standalone using just your laptop, as well as a range of supported Serato DJ hardware and MIDI controllers. DJ Style Library – Access your entire Serato DJ library with crates, cue points, BPM, and key information. High Quality FX – Tweak your beats using over 30 built-in FX presets that will feel instantly familiar to DJs. Works with DJ hardware – Studio works with a range of DJ controllers and mixers, as well as MIDI controllers, or just your laptop. Make Beats – Get inspired with over 300 pre-made drum patterns across a range of different genres. 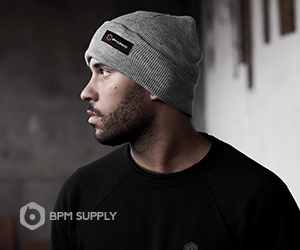 Master Key and BPM – Let the project key automatically update as you start making your beat. Adjust the BPM to extremes with world-class Pitch ‘n Time stretching. Play in Key – Play any instrument or plugin in key, without knowing music theory. Quality Content Built In – Studio comes with a huge amount of built-in drum kits, instruments, audio loops and samples, with frequent content updates for subscribers. Simple Sequencer – Get creative with your drum patterns using the simple and easy-to-use 808-style step sequencer. DJ-style mixing – Mix your sounds using a familiar DJ channel mixing strip, with dedicated gain, EQs, filters, and more. Serato Colored Waveforms – See your audio and MIDI sequences in Serato’s famous colored waveforms. The official release date of Serato Studio has not yet been announced, but we do know it will be available as a subscription-only service, with subscribers receiving ongoing sample content and software updates. Launching this new production software is a huge move for Serato, since for years they’ve been primarily known for creating DJ performance software. 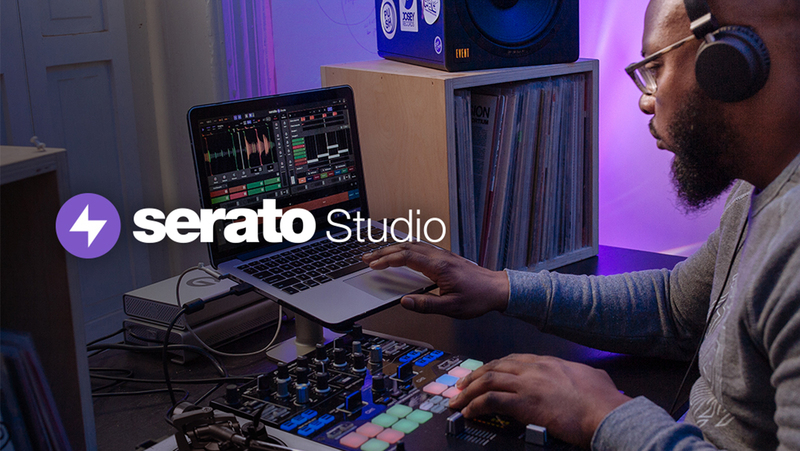 Learn more about Serato Studio in the promo videos above and on Serato’s website. You can also help Serato build the best Serato Studio software possible by joining the public beta here. Let us know if you’re excited about this big news from Serato. Will you be trying out this software for yourself? Let us know in the comments section below.